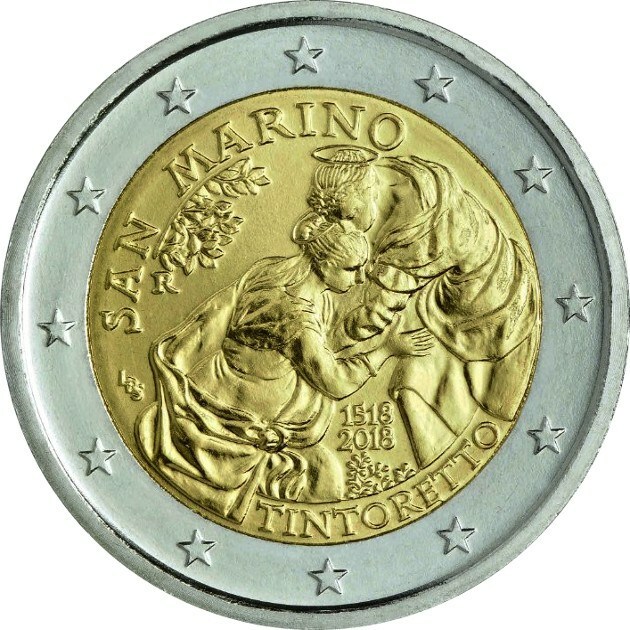 Although we already knew about the issue of the commemorative 2-euro coin that San Marino dedicates this year to the "500th Anniversary of the Birth of Tintoretto", by means of a sketch, after the Ufficio Filatelico e Numismatico has made public a real image of the currency, we can say that we are facing an authentic beauty, both for the image, as for its excellent engraving and quality of minting. The obverse of the coin, created by Luciana De Simoni, represents a part of Tintoretto's painting "The Visitation". 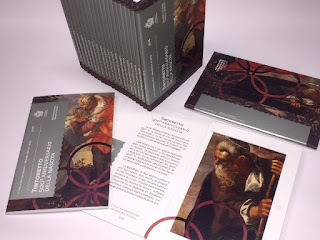 The iconographic theme of The Visitation or The Embrace is inspired by the Gospels of Luke and the apocryphal ones that narrate Mary's visit to her cousin Elizabeth, pregnant both, respectively, of Jesus and John the Baptist. 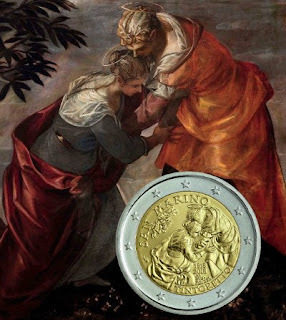 In addition to its religious meanings, the Embrace can be interpreted in a secular sense as a representation of the relationship of friendship, mutual support, recognition and affection among women. 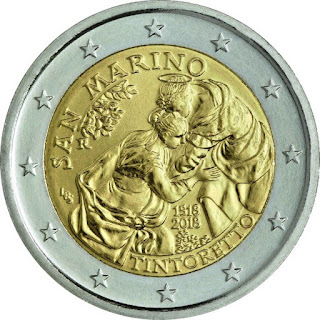 The announced date of issue is next April 5, with a maximum issue volume of 60,500 pieces, presented in the portfolios that you can see under these lines.